To Handle Carp you must have a decent sized landing net, bucket for water to keep the fish wet, appropriately sized unhooking mat and the optional weigh sling and scales. There is no point having all of the best equipment and then misusing it. First we are going to mention preparation. Watches or other jewellery that might get caught on the fish should be removed. When you first arrive at your swim and start setting up, make sure that you lay out your unhooking mat and set up your landing net before you cast a rod. Often a rod is cast out and a run occurs straight away while you are still trying to screw the landing net handle on. Scales and weight sling should be put nearby so that everything is in reach as soon as a fish is landed. You don’t want to be rummaging through tackle bags while a fish is gasping in the net. Always keep your unhooking mat damp, so that it is less likely to damage a fish. Ok, so you have your run. The carp is on and with any luck is approaching the landing net. If you are fishing with a friend the next few minutes is made a lot easier, but if not, you will need your landing net to hand. This often results in a lost fish. As the Carp draws over the net, gently lift the net until it is above the water’s surface. Now comes the bit where you need three hands. If possible, put your rod down where it cannot be trodden on, and release the bail arm on the reel or the bait runner so that line can be pulled from it. Then, supporting the net’s frame lift the Carp carefully from the water, trying to ensure that no fins or scales are caught in the net, and that the carp cannot be damaged by leads, floats, loops of line or other rig items. Walk the Carp back to your unhooking mat and place it down carefully with it still in the net. Now remove the hook watching for any line that is wrapped around the fish to ensure that no scale or fin damage can occur. 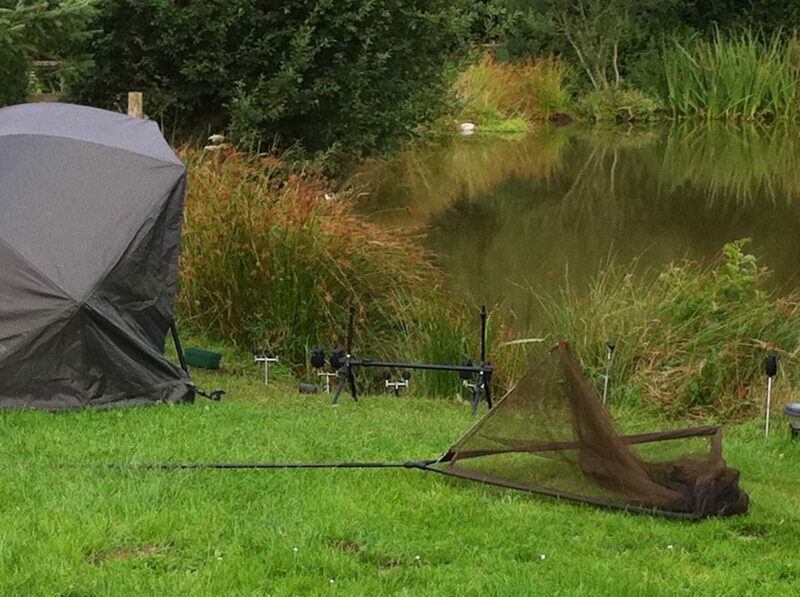 Move the rig away from the mat preferably near to your rods. Next the fun bit. The carp needs to be transferred from the unhooking mat to the weigh sling. This is easiest achieved with two people if possible, at least until you are used to it. First make sure that the sling is wet and that your scales have been correctly set to zero with just the weight of the wet sling attached. You’ll find it easiest to slide the weigh sling under the fish rather than lift the fish from one place to another. Once in the sling, attach the scales to the links provided and then lift the carp clear of the ground holding the scales by the support ring above them. Try to keep the Carp above the mat. Once weighed, you can photograph your catch. This is the most dangerous moment for the Carp, as they do tend to move about a bit. You need to offer as much support to the fish as possible whilst keeping your arms clear of the front side so as to get the best picture. Always kneel down whilst holding it and keep it over the unhooking mat. When the picture has been taken, place the fish back on the mat or sling and return it quickly to the water. This is best done in the sling or on the mat if it doubles up as both. Never pick up a fish and walk it to the water as it might wriggle free and fall to the ground. Place the carp back in the water carefully, supporting it until it is ready to swim away. Just one last thing. Do not place it in a keep net. Enjoy your fishing…. and caring for our fish. The welfare of our fish is important to us. 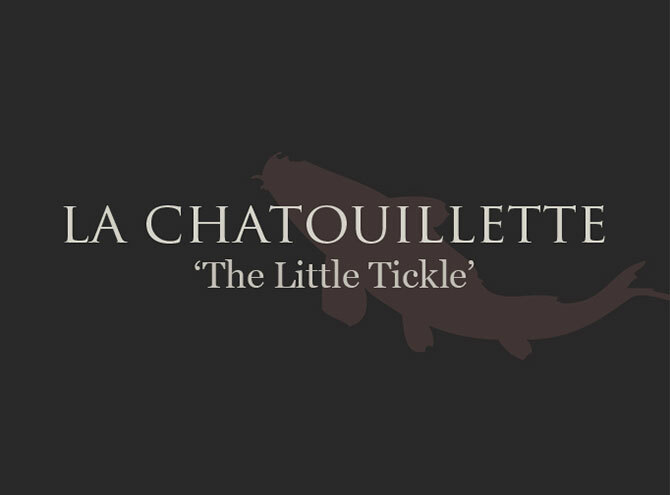 The rules at La Chatouillette are common sense, with the emphasis being on the welfare of our fish, lake and the surrounding wildlife. Although we know many of you will be seasoned anglers with experience and use common sense, we have to give guidance for differences in abilities and experiences. All anglers should read the lake rules before they commence fishing. Please ensure that the rules are adhered to at all times. Guardians remain responsible of their children’s safety, all junior anglers must be supervised by a person over 18 yrs. If any person breeches our rules, we reserve the right to terminate your holiday immedialty and ask you to leave La Chatouillette without compensation or refund of any previous payments. We have nets and landing mats for your use, these are checked before and after use. Two rods /per angler only. Baited rods must not be left unattended in the water at any time. All rigs must be Carp friendly. Only safe rigs utilizing a proper lead discharge system, such as safety bolt beads are allowed. Inline leads are permitted as long as the system will allow the lead to detach itself when snagged. No fixed or tethered rigs permitted. Strictly no retaining, keeper nets, or sacking allowed under any circumstances. 25lb minimum hook link for carp, 45lb for catfish 12 for float fishing. Strictly genuine ‘Barbless hooks ‘only, used up to size 2 maximum. No curved hooks i.e. Fox series 2, Long Shank Nailers, Flattened filed or micro barb. No bent hooks permitted. No braided main line leadcores or any kind of shock /snag leader are allowed. Please remove all broken lines. We reserve the right to inspect your tackle, rigs and bait to ensure rules are being observed. If they are not we will ask you to stop fishing on the lake. We prefer the use of Fresh/Frozer boilies to shelf life. Exceptable are ‘High quality’ shelf life eg. Mainline’s High Impact range, Sticky Baits The Krill, CC Moore’s Pacific Tuna, Advanta’s Bloodworm and Krill and Nash. Bread, carp pellets, branded & tined cooked halibut, sweetcorn and spam are allowed. NOT allowed High oil pellets, tiger nuts, peanuts, homemade boilies/particle baits Cat/Dog food. 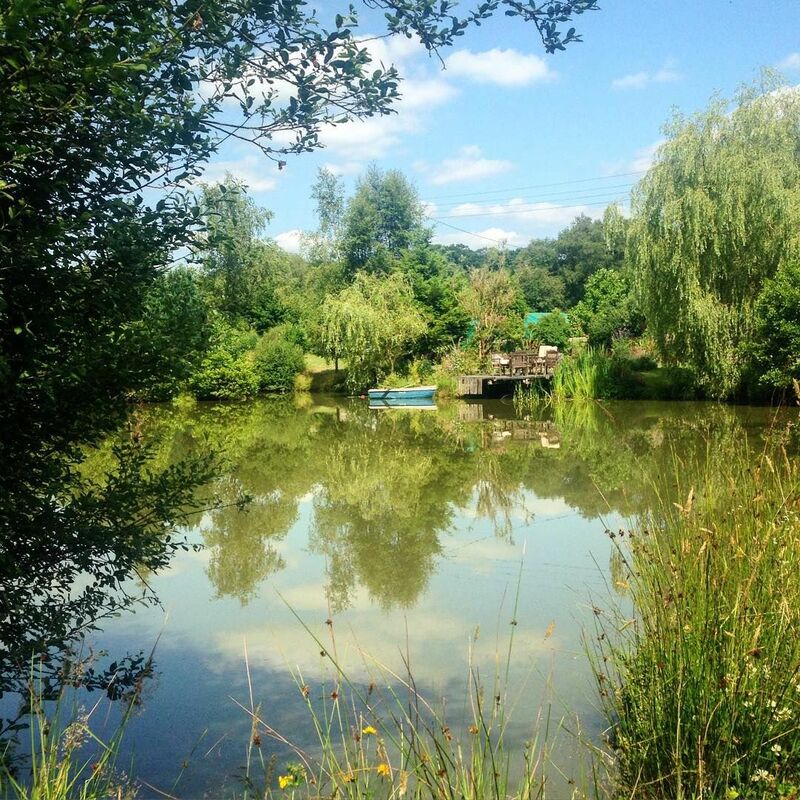 Use ground bait in sensible quantities to preserve the water quality. We do not permit excessive usage. All Goo products are not to be used on our waters. Anyone using them will be asked to stop fishing immediately. Please keep all bait products in sealed containers. Please do not dump leftover bait etc into the lake at the end of your stay, please leave it in the storeroom. This room can be locked and used to store tackle and bait in sealed containers only. Please do not leave bait in Bivvies overnight, as we do not want to encourage the chickens or cats helping themselves! We also ask you not to feed the chickens. Bread, carp pellets, branded tined cooked halibut, hemp seed, spam and sweet corn are allowed. Please use ground bait in sensible quantities to preserve the water quality. If you have any unwanted bait at the end of your stay please leave in the games roon do not empty into the lake. Strictly no fresh fish or sea type bait to be used. Before lifting the fish onto the unhooking mat have a bucket ready full of water to wet the unhooking mat, Klin-Ik to treat the fish, weighing scales and camera ready. Slide the weigh sling under the landing net and lift the fish from the water using the sling. In hot weather be extra careful the fish, mats and nets must be kept wet. The handling of fish is to be kept to a minimum and always with wet hands. Please NO MARKING of the Carp in any way. All fish must be released and returned to the water as quickly as possible with the utmost care and are supported and fully recovered before releasing. Strictly no retaining, keeper nets, or sacking allowed under any circumstances. Please remove watches/bracelets when fishing. No sacking or holding of fish under any circumstances. Make sure hook links are either unclipped or main line cut before lifting the fish onto the mat. Make sure you have your scales, forceps, antiseptic and camera ready before placing the fish onto the mat. Please do not carry Carp in your bare hands or stand holding them. Be very careful not to bend back the pectorals fins of the carp while lifting. 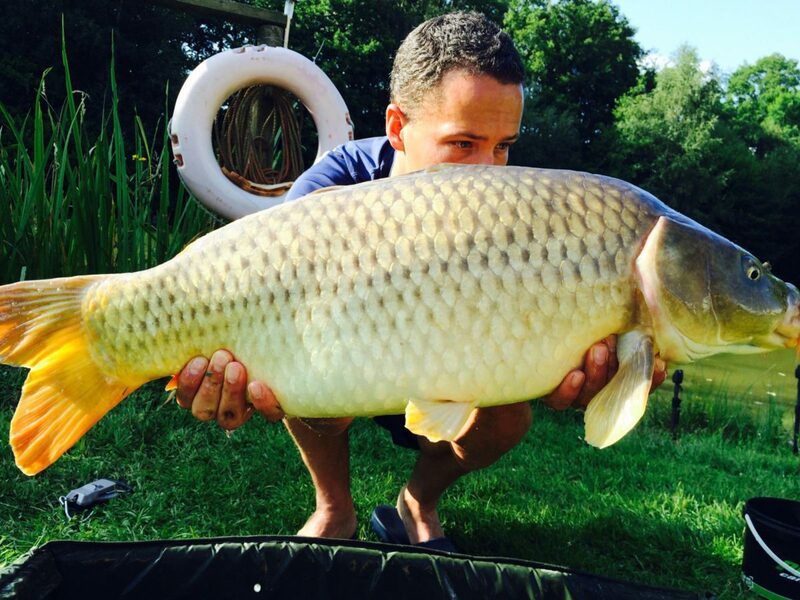 Kneel down with carp for pics,hold them over the matt. Ensure the weighing sling is secure so the don’t fall out! Weighing and photographing the fish should be done as quickly and carefully as possible, so have your phone/camera ready, thus avoiding excessive periods when the fish are out of the water. Fishing from only designated swims only. Please do not use the small fishing boat. If fishing after 10.00pm please keep your bite alarm volume down to a minimum. No swimming or wading in the lake or river. No littering including cigarette butts, please use an ashtray. No Load music or shouting. Please do not take wine/beer bottles/glasses out to use by the lake. Permitted use on picnic table or on table by loungers only. Follow the rules, be respectful, stay safe and enjoy your days fishing. 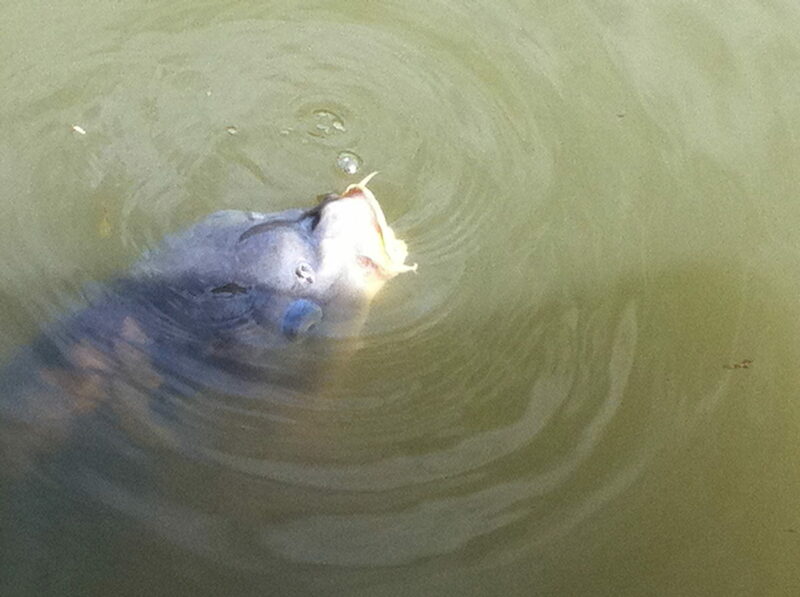 Carp Catchers Blog, tips and tricks on Carp Catching. Website contains carp fishing photography, a detailed session blog, articles and interesting links from all over the web.